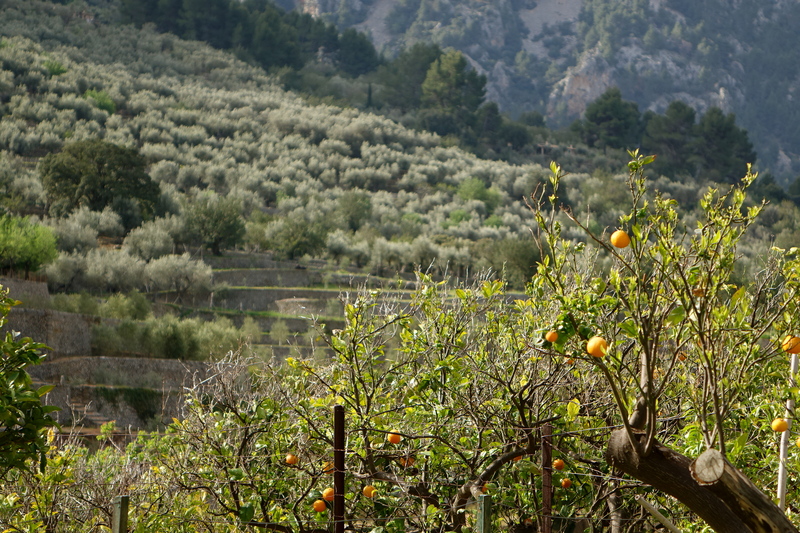 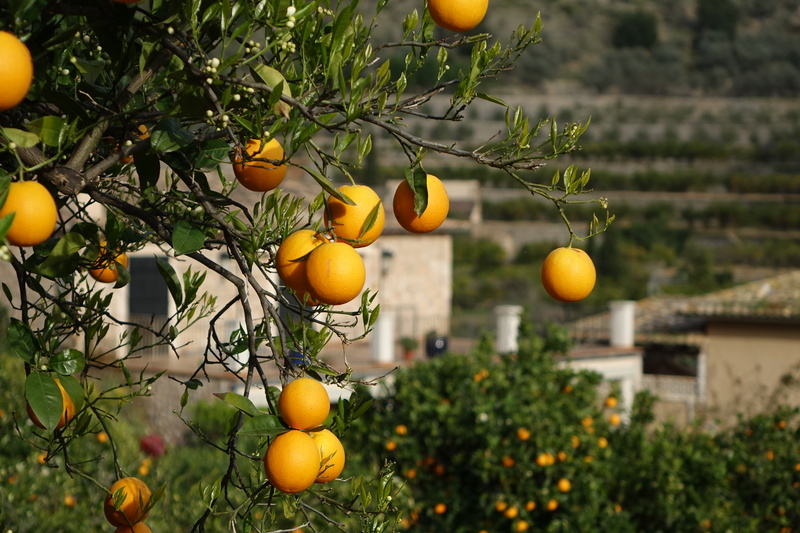 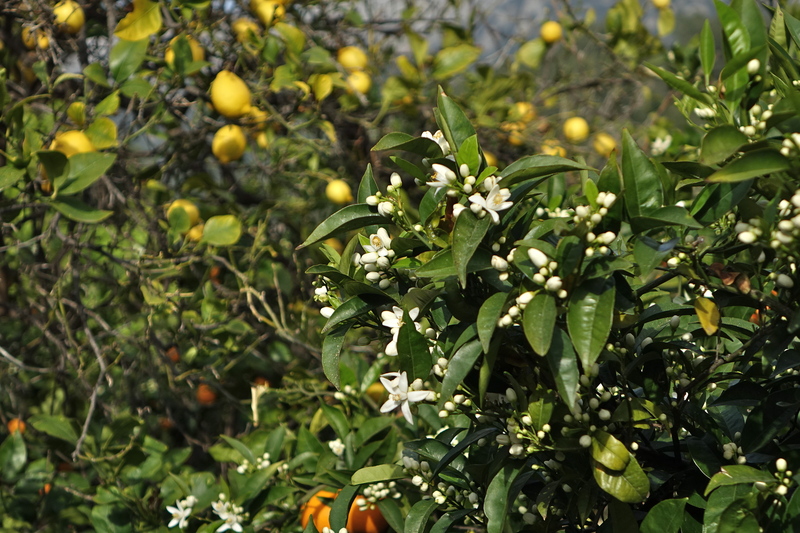 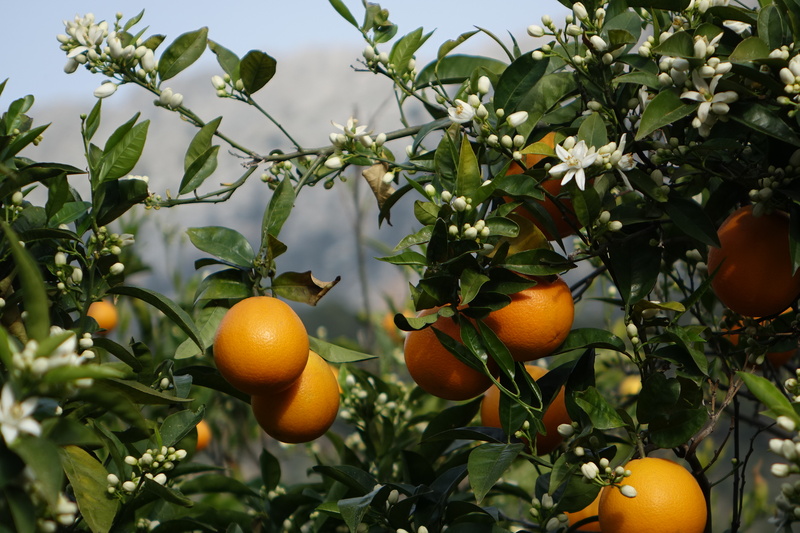 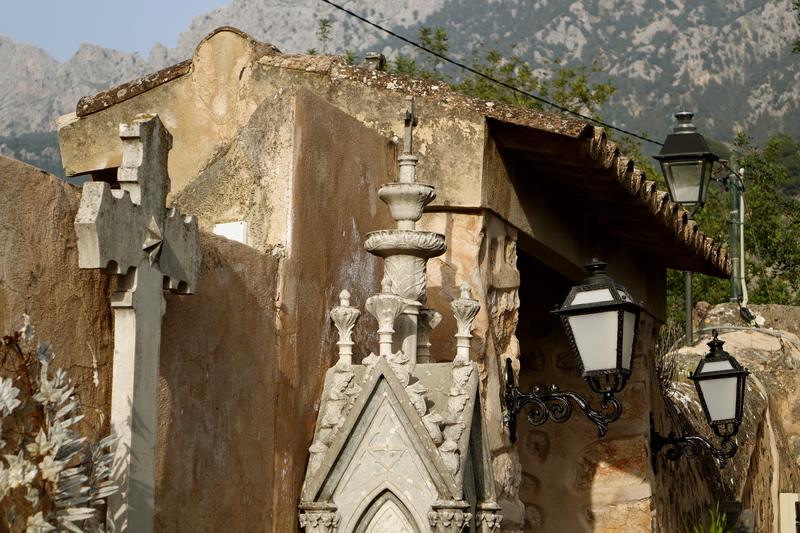 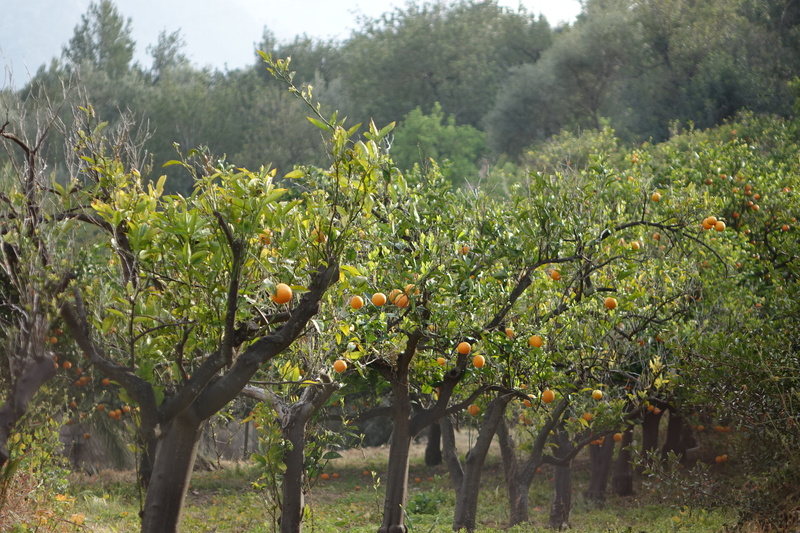 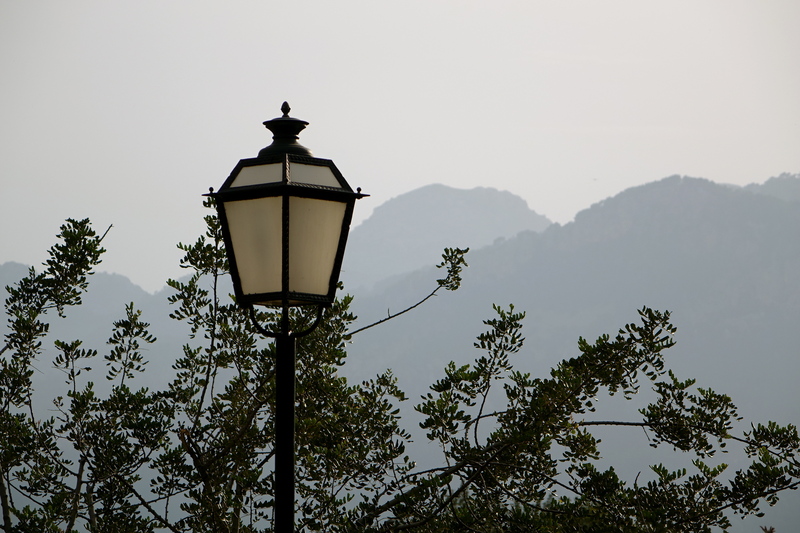 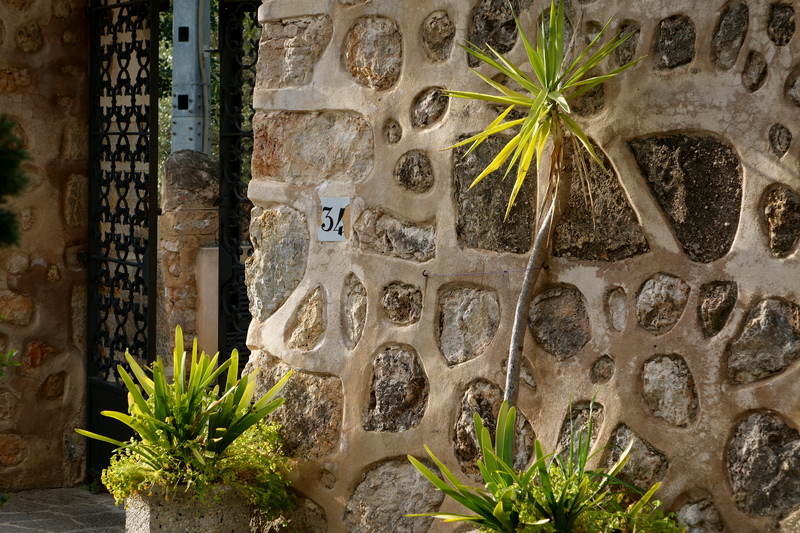 The area of Soller is famous for its citrus groves. 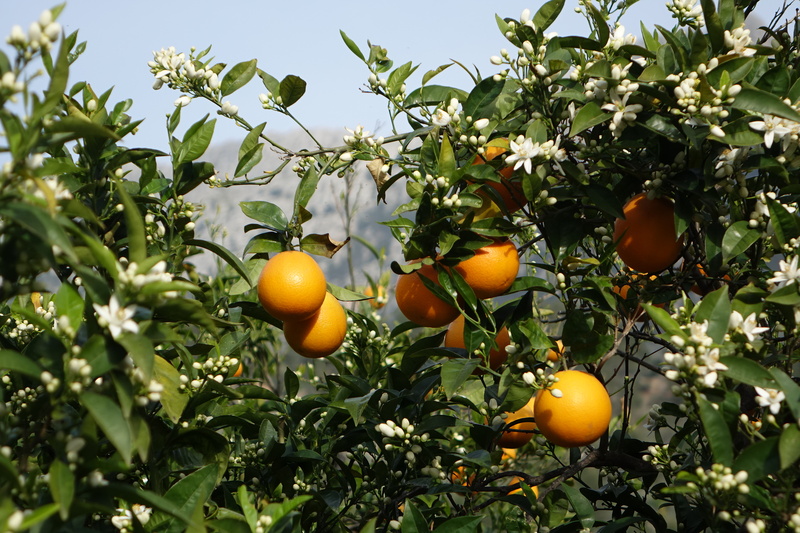 It must be something to do with the lush fertile slopes of the vast mountain scenery which allows this area to become punctuated by lemons and oranges, and the result is not only a vast bounty of citrus based products made in the region every year, but a landscape which is made stunning by the perfume of orange and lemon blossom and by a palette of yellow and orange fruit. 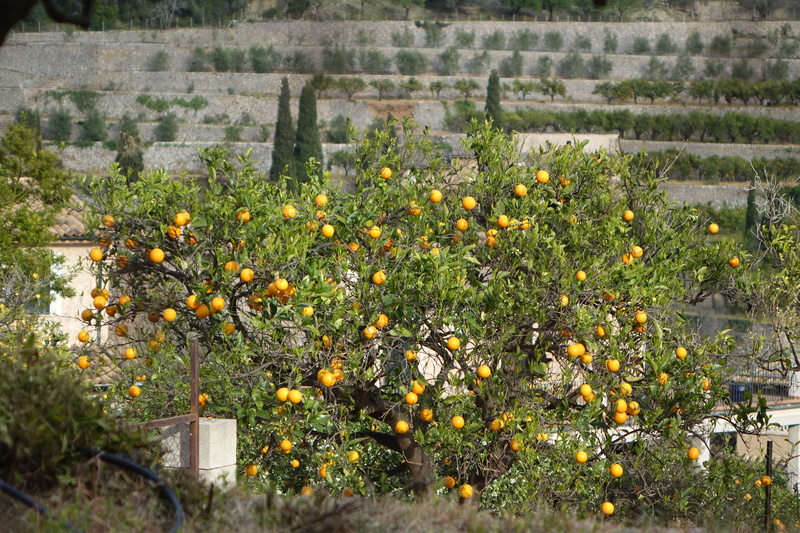 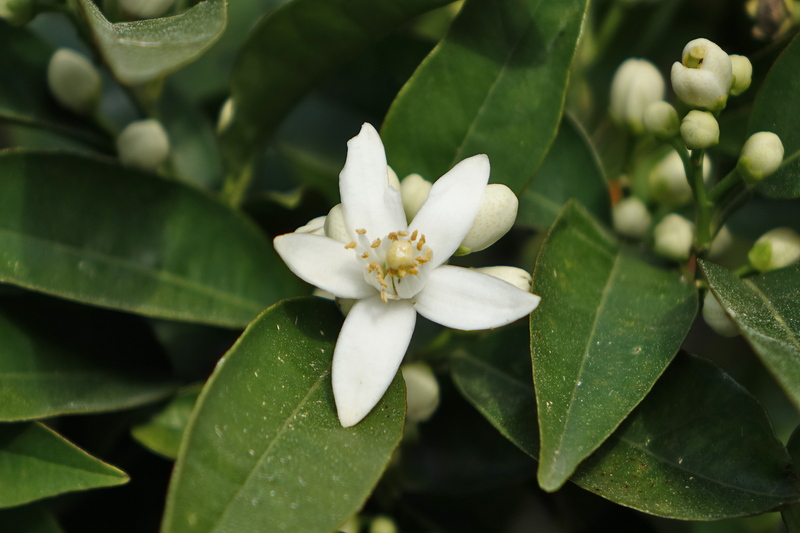 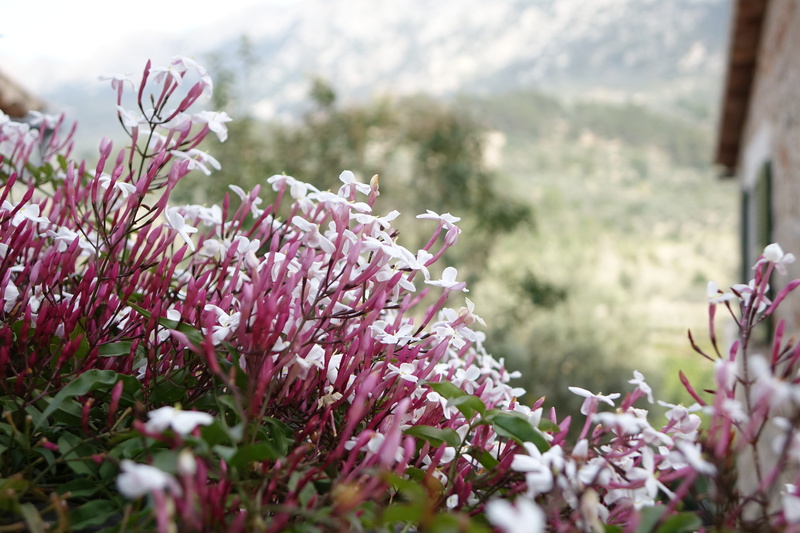 The little nearby village of Fornalutx is no exception in the citrus stakes, and if there was one aspect of the little mountainous haven that I adored above all others, it was the orange trees which were so bounteous in the surrounding landscapes, and whose blossom filled the air with its exquisite spring perfume. 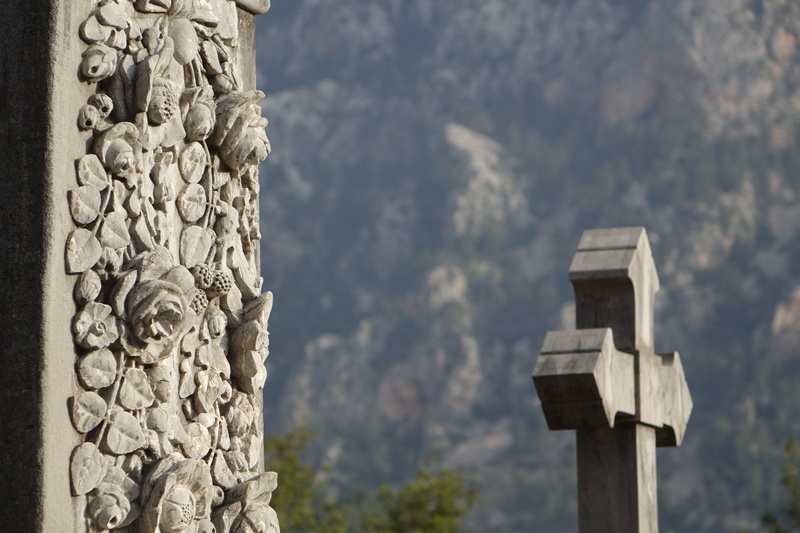 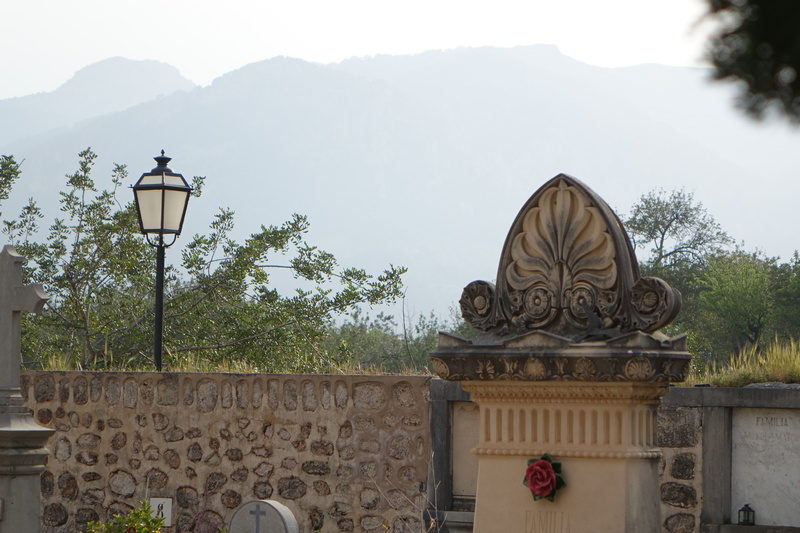 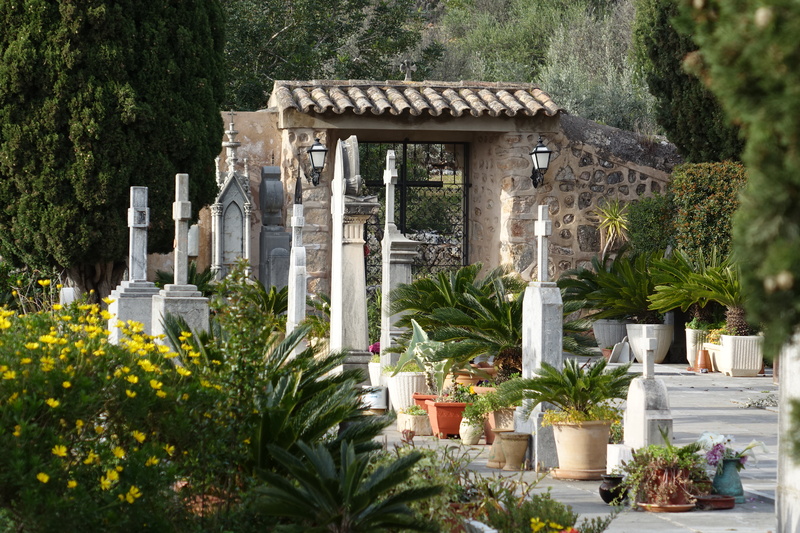 It was on a walk amongst the orange groves on the afternoon of our arrival in Fornalutx that my partner and I discovered what has to be my second favourite aspect of the town: a tiny cemetery set atop an outermost hill of the city, overlooking its sea of terracotta roofs and surrounding mountainous landscape. 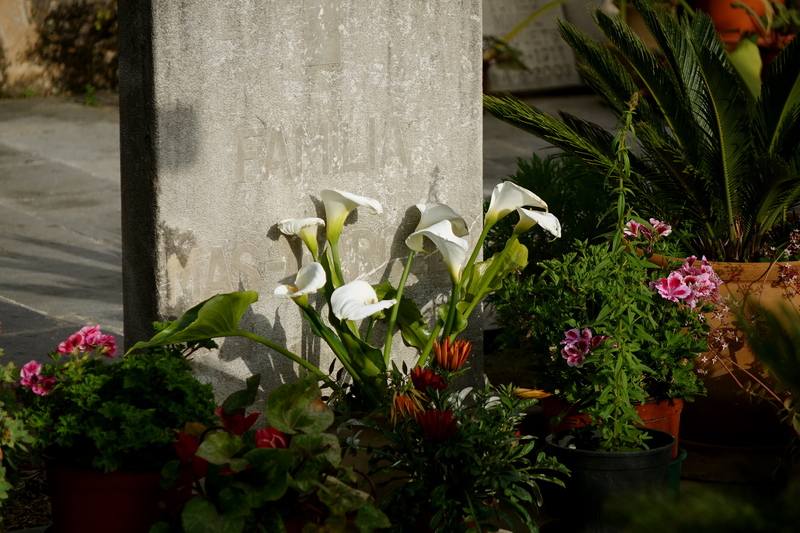 Of all the places that could be a person’s final resting place, this must surely be one of the best. 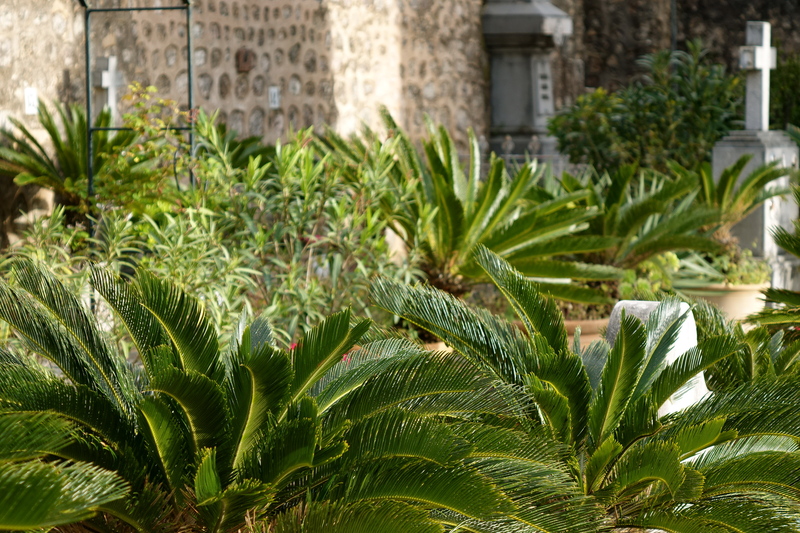 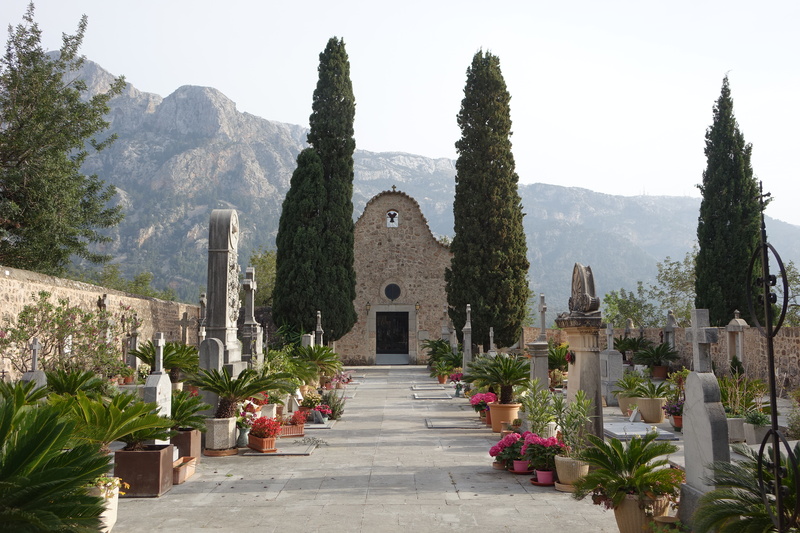 Perfectly appointed, beautifully symmetrical with a central chapel flanked by two robust cyprus trees, and with decorative gravestones surrounded by palms and colourful flowers, this place of rest made for a super-tranquil utterly beautiful place of contemplation even for us living.